“What if The One actually walks up to you and even says hello, would you greet back or turn your back unknowingly that you have actually met? Would you know when you’ve actually met? Serendipity is a funny thing that brings a tinge of bittersweet bliss to anyone who is fortunate to experience it. 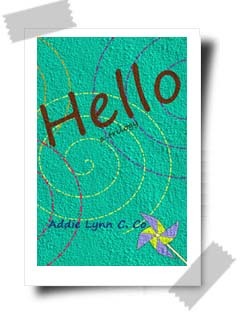 Hello is a trilogy that explores how serendipitous life can sometimes be. Definitely, Maybe is a story of how fate plays with two people as they meet each decade hoping that maybe this time around, they can finally be together. Almost Mismatch tells how two people so right for each other be so wrong and no matter how much they try to suppress their feelings, true love will not stop at anything. What is meant to be will be. Finally, Dinner Date portrays how two people’s search for love could take them to different places and people only to lead them back to where they started.